Concerns over safety and concern are the motivating factors behind the review. Over recent years, average aircraft seat size has been gradually decreasing. Photo credit: shutterstock.com. Airplanes have improved the convenience of traveling from one area to another by reducing the time taken. With the increasing need to get to places faster and at a lesser cost, airlines are developing means to achieve profitability while meeting these needs of low-cost and fast transport. However, in their efforts, not all the needs of the passengers and their safety are looked into. According to a report in the New York Times, the Flyer’s Rights passenger group took their complaint against the Federal Aviation Administration to court. A panel of three judges from the federal court in Washington ordered the Federal Aviation Administration (FAA) to review the seat size and legroom in commercial airplanes. This comes after a complaint launched by the Flyer’s Rights group. The group major concern arose because of the continually decreasing space within airplanes. For instance, the seats have been reducing in size each year as well as the leg room becoming more confined. The group raises the issue as a safety hazard for those boarding airplanes as the small spaces put them at a risk of developing complications such as deep vein thrombosis. Besides legroom and seat sizes, commercial planes have also reduced the space between one seat and the one behind it. 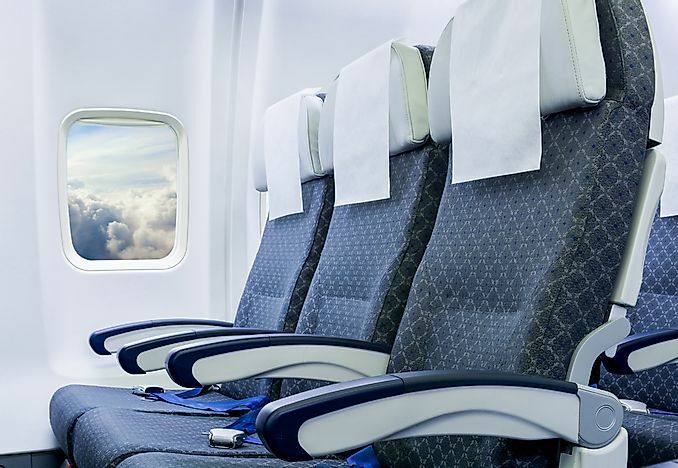 In a report published by CNN, seat sizes have reduced tremendously in the last decade. For instance, the distance between the seat in front and the one behind it (pitch) has reduced from 35 inches to 31 inches and 28 inches in some airplanes. The report also indicates the agreement by the judges that commercial airplanes do not cater for the needs of the Americans in the designing of seat sizes and legroom. The most affected category of commercial airlines is the economy class seats. In this category, the seats are small and close together thus reducing the comfort and safety of the passengers. There exists no standard pitch measurements for airplanes or minimum measurements for airplane seats. However, the FAA regulates the safety of the airplane through regulations such as the safety design of seats, the ability of the plane to withstand high impact landings and crashes, and the ability of passengers to evacuate the plane within 90 seconds. Different commercial airlines are left with the responsibility of determining the seat sizes of their airplanes. Previously, the airlines cited several reasons for decreasing seat size and legroom including reduced costs for the travelers and better operations for the commercial airlines by reducing the number of flights. While decreasing the size of seats increases the number of people carried per flight, it also compromises on the comfort and satisfaction of customers. According to KTUU, the Flyer’s rights group is however concerned about the safety and comfort of passengers. The group went on to further to indicate that while the seats decreased, the sizes of Americans on average were increasing with the increasing rates of obesity in the country.